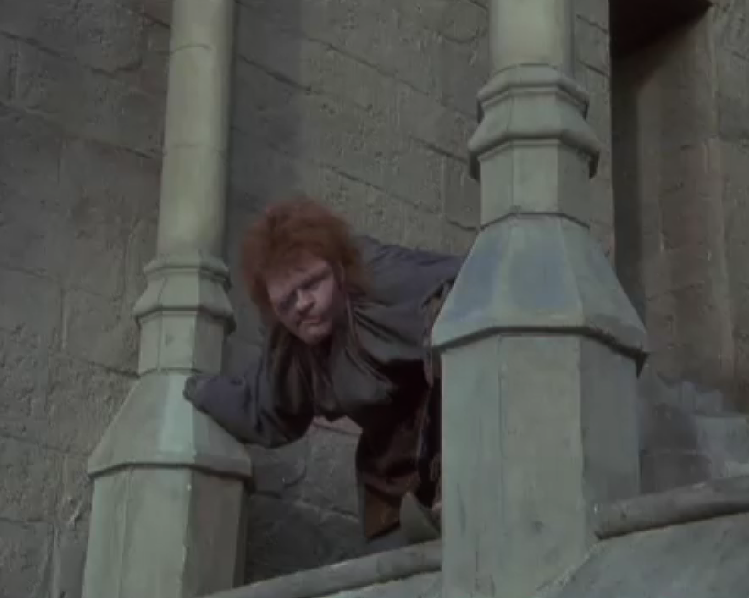 Like so many other movies, The 1982 adaption of the Hunchback is influenced by its times, in this case the infamous early 1980s. The costumes themselves are not super 80s looking, I mean when you think about the 80’s these costumes could have been so much more crazy. 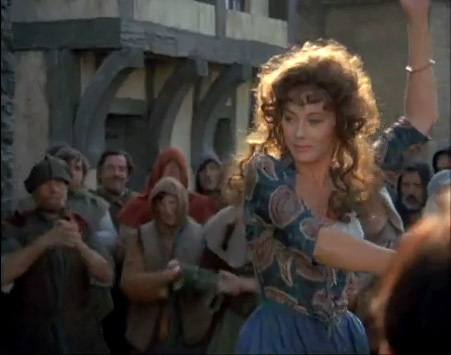 The costumes were design by Phyllis Dalton who designed the costumes for another little known 1980s medieval fantasy movie, I dunno maybe you have heard of it; The Princess Bride . 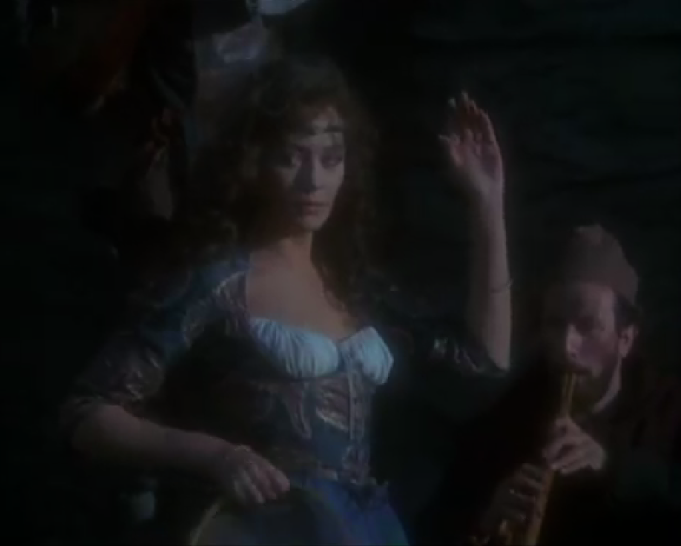 Esmeralda gets two costumes, which look very similar. The first one is a blue corset that has sleeves and a leaf-y gold pattern and a blue skirt with a green under skirt. The second is a pink cinch corset so her chemise is more part of the look.It also has a matching pink skirt. Overall these two costumse don’t scream “I’M THE 80’s” but nor do they suggest a poor Gyspy girl. The fabric appears to be some form of satin. Satin did exist in the middle ages but it was very expensive. Now it’s very possible it was gifted to her but the costumes are too pristine looking. The pink is an interesting color choice. Pink is a lighter tone for red and red is Esmeralda’s default color for films. But the choice of pink keeps her young and feminine looking and works against her becoming over-sexualized. That being said, Esmeralda’s costumes are not anything special, they’re pretty sedate and boring. Now the part everyone cares about; Quasimdo’s make-up! How does this version measure up to Laughton’s and Chaney’s looks? It measures up fairly well. 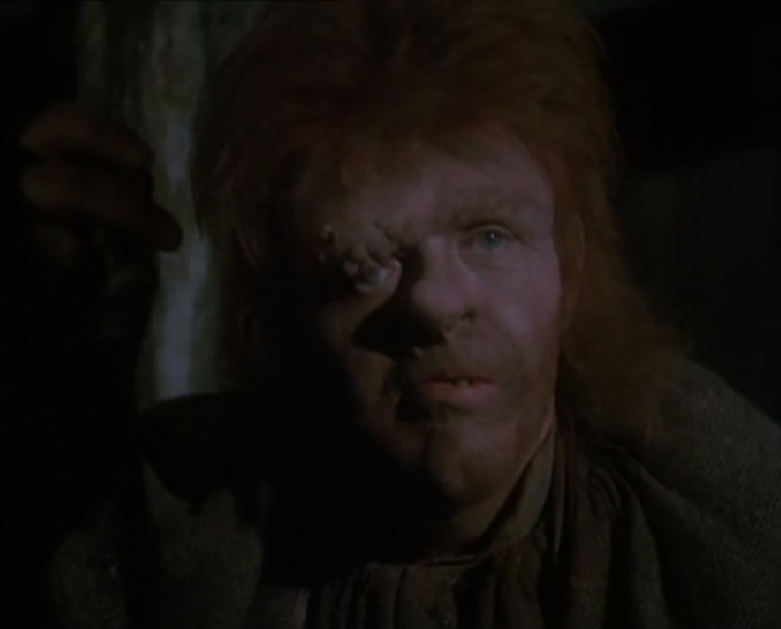 Hopkins’s looks like Laughton’s Quasimodo. He’s got the protrusion, the one good eye, the ugly teeth and rounded nose. It’s a good interpretation of Quasimodo and Laughton’s look. So what part of the costumes scream the 1980’s? The Hair! Oh, the hair in this, it’s totally the 80’s. Let‘ s start with Esmeralda. Esmeralda has big curly hair but a little more than that it’s layered to have more volume near her face. 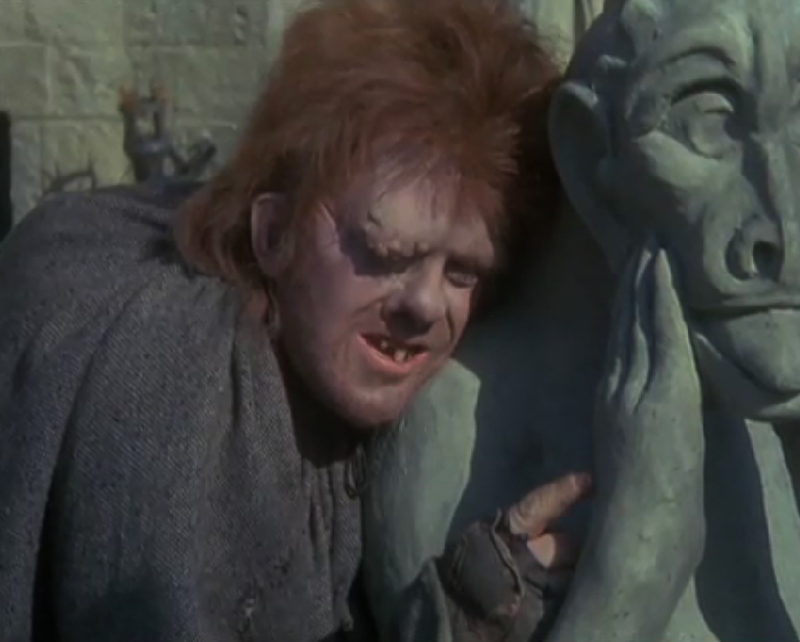 And Quasimodo has a mullet, which heyday was the 80s’. The hair is where all the 80 glory lives. On the whole the costumes are average at best. There is nothing remarkable or memorable but the hair is a shining example of 80’s-ness. Bad ’80’s hairstyles/wigs though. 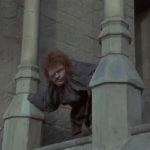 As a kid I had a sparkley blond wig that was styled kind of like Quasimodo’s in this adaptation…I wore mine when I was Beetlejuice in 1989 0r 1990 and in Pre-K.